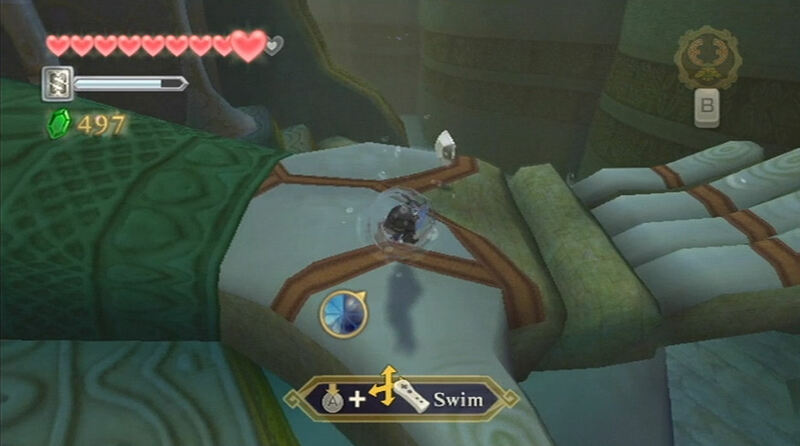 When I think of Zelda dungeons and what they mean to me, I often think of the Ancient Cistern from Skyward Sword. In my eyes, it’s the epitome of the franchise’s level design. I had to think very hard on why I love it so much, and I concluded that it’s not simply the theme or the mechanics of the dungeon that draw me to to this dungeon, but how those elements come together to tell a story. The Ancient Cistern draws heavily from a Buddhist tale known as “The Spider’s Thread.” In the story, Buddha, through a pond of lotus blossoms, sees a sinner, Kandata, in the underworld. The sinner spared a spider once and was given a single thread in order to climb out of the underworld. However, other sinners took to the rope as well and Kandata thought only of himself. His selfishness broke the rope and he was cast back into the underworld. 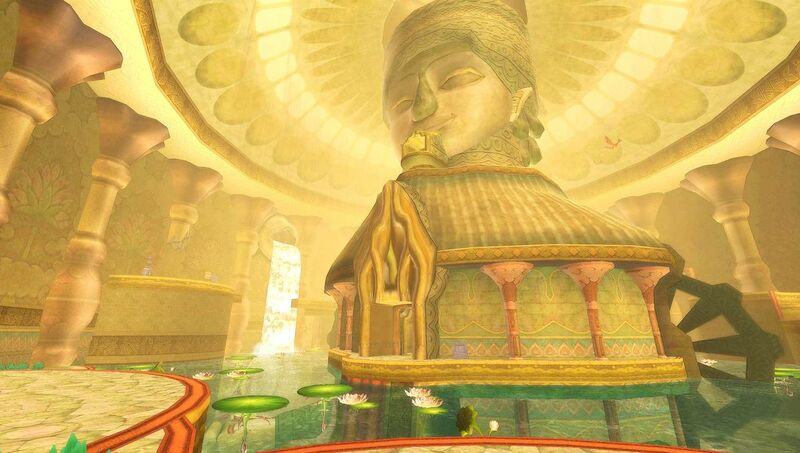 Parts of the Ancient Cistern’s architecture and final boss both look like Buddha, and there is quite a bit of symbolism and many references to the tale in the dungeon as well. A common symbol within the dungeon is the lotus flower. The lotus means different things to different cultures, but as the Cistern is based primarily on Buddhist principles, this likely means that the lotus is meant to signify detachment. 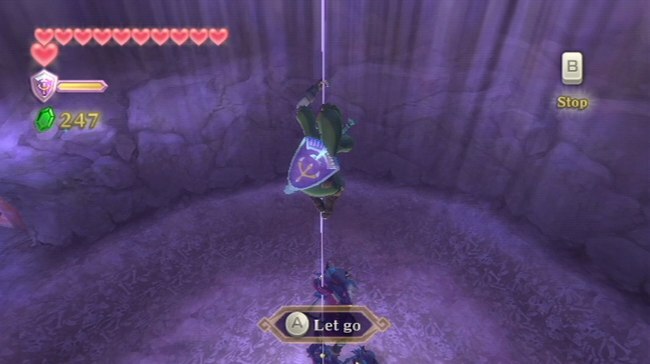 There is one particularly good example of this detachment found in the dungeon: the hands with Rupees that close if Link gets too close. While it is possible to snag the money inside, these hands could be interpreted as a symbol for a “closing off” to worldly desires, as Link is encouraged to close himself off from the monetary temptations presented to him. Like the Buddhist symbol of the lotus, Link’s encounter with these hands represents a detachment from the worldly pursuits around him. The Ancient Cistern offered an interesting perspective on the original tale. While Link is certainly not a sinner in the conventional sense, his replication of Kandata’s journey inspired me, and thus led me to consider the temptations and conflicts our hero might face in his adventure. I had a lot of fun researching “The Spider’s Thread.” As someone who is constantly researching and learning, I’m quite thankful that the Ancient Cistern took me on this journey. Bobby is a Senior Editor for Zelda Informer, and when not writing, can be found developing his life’s work, Epheria.